1. 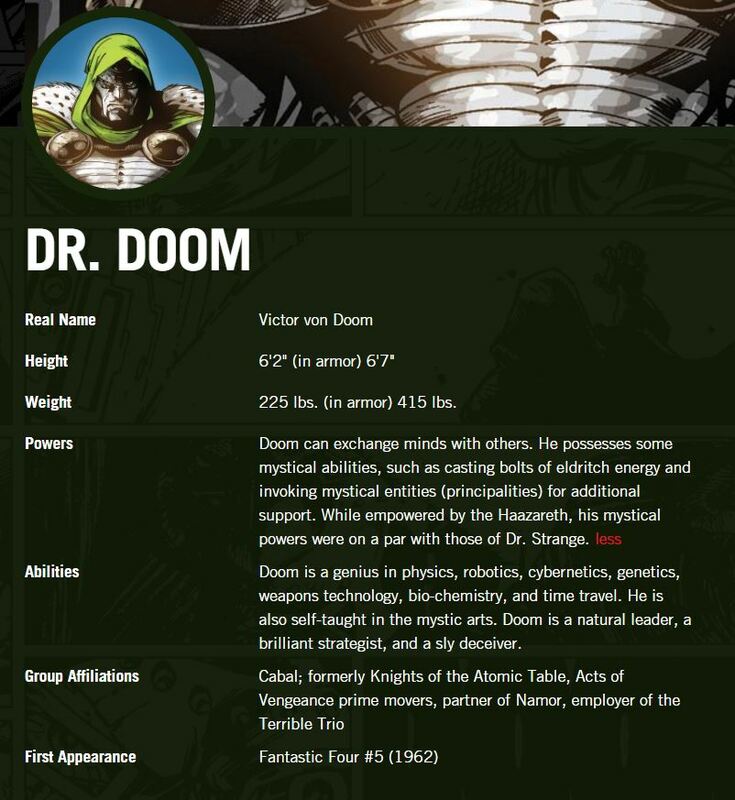 What is the difference in weight between Dr. Doom and Doctor Strange? 2. What do the two men have in common? 5. 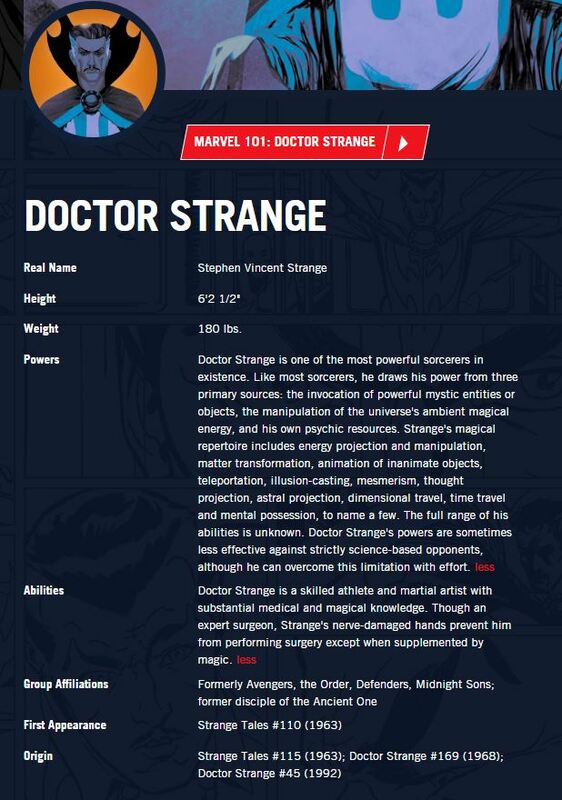 What is Doctor Strange's flaw? A. His talent for energy projection. B. His ability to time travel. C. His animation of inanimate objects. ​6. Time travel is an ability for which character?